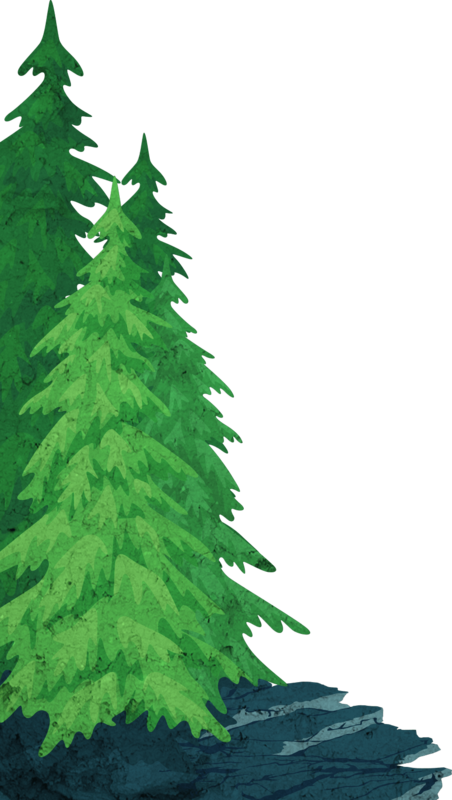 What does it take today in our digital age of outdoor industry marketing to connect with customers and build a brand that creates long-term customers? The digital era and rise of social media have catalyzed a shift—branding has evolved from words and pictures to experiences. Gone are the days (check out the Fundamentals of Digital Marketing for the Outdoor Industry) when companies could broadcast an untouchable, proprietary brand story to the world. The most successful brands of today are those that are integrated in indispensable ways—they’re the brands that establish themselves as intensely relevant to their customers’ lives with winning brand experiences. Here's a story to reference what I am presenting. 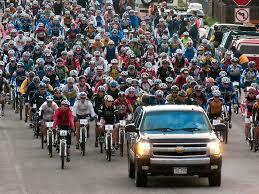 In the fall of 2008, I was selected in the lottery to participate in the 2009 Leadville 50 and 100 MTB race. It was on my list of bike races and events I wanted to do. In the previous two years, I had primarily trained and competed in the citizen’s Le Etape, one day stage race as part of the Tour de France, the LOJOTA (Logan, UT to Jackson, WY) race and the 5-day Tour of Colorado. However, none of these prior challenges I had trained took place entirely above 10,000 feet with 14,000 feet of climbing in one day as did the Leadville 100. In looking back over my prior races and researching the energy and hydration requirements for a person of my size, I knew I would need a much better hydration system and pack that could carry a lot of fluid, had space for parts and clothing and would ride comfortably on my back. After researching the available options available in 2009, I chose one of the original Deuter Air Race Lite packs and began to use it in early 2009. This particular model was just being rolled out in the United States. 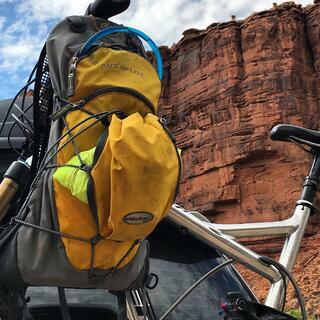 Today there are a lot of great hydration backpacks designed to serve the varied needs of mountain biking enthusiats and competitors. In 2009, Deuter is an example of how a company built a brand based on developing a product grounded in listening to their customers. Executives often assume they know what their customer wants without really listening. In order to truly understand what your customer wants from your company, you must understand both what they want and why they want it. This became evident in the research, design and production that went into this initial air frame style. 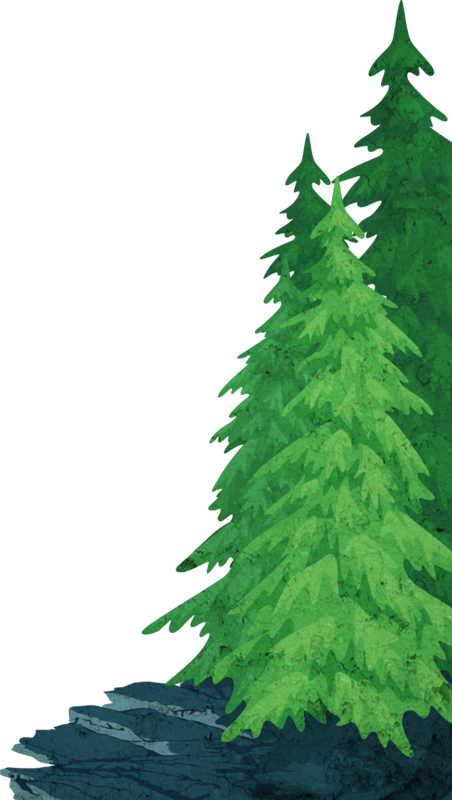 By creating an excellent product or service that customers truly appreciate, outdoor brands can turn their customers into their most potent marketing and sales force. Customer social postings, product reviews, referrals and gift giving are all ways in which as satisfied customer powers your product sales. 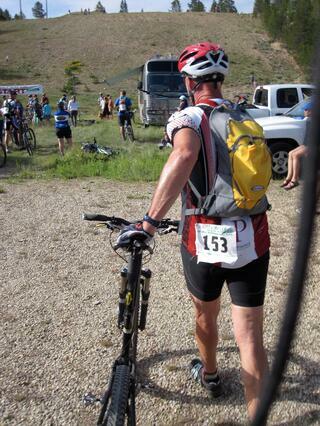 The training led up to my use of it under race conditions in the Leadville Silver 50. 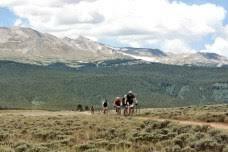 Cut the Leadville 100 in half, remove all the easy parts, throw in more technical descents, burning lungs, wild animals and they say you’ll have a good understanding of what you’re about to get into with the 100 length distance race. The Silver 50 also begins at 10,200 feet and reaches 12,000 feet on four separate occasions over the course of the race. The individuals I had sought out to train with and drink from their prior knowledge of competing in the Leadville series felt that, on average, if a rider can compete and finish the 50 miler with good metrics, it was a good indicator that the rider could be successful in getting under the finish line of the 100 under the magical 12 hour mark or at least finishing. 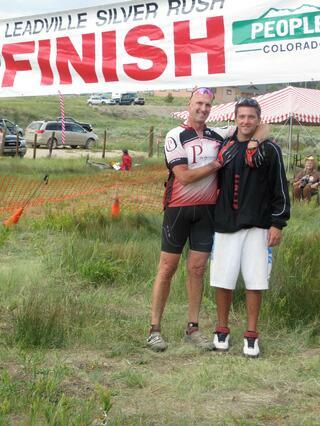 With my son supporting me in this race too, I completed the course in 6 hours and 35 minutes. The manner and time in which I finished left me optimistic with continued training and preparation, I could achieve my goal of successfully participating and finishing in the Leadville 100. With the Silver 50 behind me, I knew that the Deuter Air Race Lite pack was everything I needed to compete in the 100. The unique air frame provided a simple solution to my pain point. Simplicity means always starting with the customer’s point of view, focusing on what they are trying to accomplish, and then building a solution (product/service) to help them accomplish that as easily as possible. The comfort and ventilation significantly increased my ability to complete the long training rides I would go on and use to compete in the Silver 50 and other events prior. Although I could go on about the performance attributes of the pack, besides providing a simple solution, the product allowed me create an experience that I remember to this day. It created a connection to the brand. When working with outdoor industry companies, it is this type of experience that I can use to assist them in building brands that will resonant with customers and create long-term value for the company. Your customers are living in a world where brand experience and simplicity matters. Make it easy for your customers to interact with you, buy from you and get service from you when needed. The night before the race, everyone comes together in an old gymnasium. You meet other competitors, hear inspirational stories and get pretty amped up. After picking up your race packets and talking with others, its off to bed, to try and sleep before rising at 4:00 a.m. to begin getting ready. 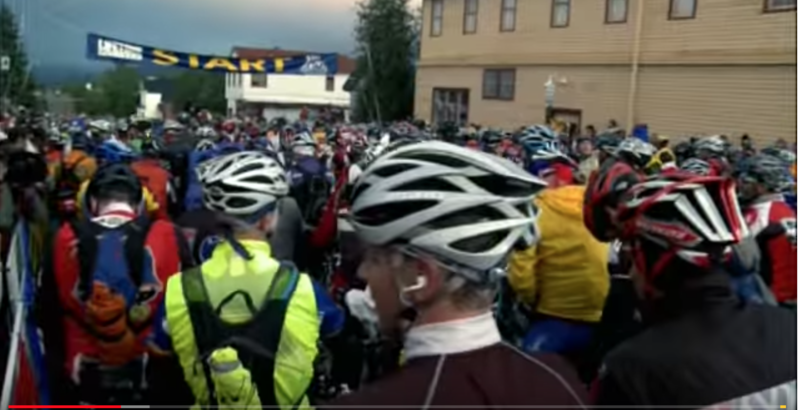 The day of the Leadville 100 race was cold, 39 degrees at the start. Once the race started it briefly got better following out the lead vehicle. Before ascending the first climb it started to rain and poured all the way over Sugarloaf pass and down Powerline. The weather turned better across Pipline, then at about 11,500 feet up the climb to the top of Columbine Mine it hailed on us. After descending from Columbine, the temperature rose to 85 on the return leg. This is not a story about the type of success we usually seek in these types of events for it became the first event in over 25 years of various events that I failed to finish. On the short-steep climb out of the creek crossing around mile 30 I pulled my right hamstring. It cramped, it tightened up and it became difficult to power through my stroke. At the first support checkpoint, I switched out bladders, got a dry jersey and my son massaged my leg. I went on. With today's use of the internet to research and purchase, it's critical to design the experience so the average consumer understands how to navigate your offerings and get what they need. The climb up to Columbine Mine at just below 12,600 feet was agonizing. I slowed and I slowed. I lost significant time on the climb having to get off and walk stretches. Finally, after arriving at the top I took some hot soup and proceeded to scream down the long descent to the third checkpoint minutes ahead of the safety cutoff. On the way down, I realized that completing the course in the 12-hour minimum to earn a buckle was gone. I took in the situation and modified the goal to finish. On arriving at the Twin Lakes return checkpoint, my one person support crew was pretty alone on the dam crossing waiting for me. I arrived minutes before the cutoff. Stop or continue? I pushed on with three others. Time would not slow down and I could not speed up fast enough to make up the lost time. While on the road approaching the climb back up through sagebrush that was previously dubbed “suicide hill” I could look back behind me and see the ATB’s and support truck picking up the safety cones and signage that had marked the course. “Sweeping it” as they say. I rolled into the last checkpoint and there they were; the volunteers charged with informing us we could not continue as we had missed the safety time cut by 30 minutes. With kindness and words of support, they cut off the official entry band from my wrist and took off my bib number. Welling with emotion and crestfallen I fell into my son’s arms and cried. In that moment with a flood of emotions, I thought I had failed. It was extremely difficult to have trained so hard, following a solid plan and then fall short so close to the goal of finishing. About 45 days later, having completed a series of tests that had started just before the race, the staff at the University of Colorado neurology department confirmed an initial diagnosis that I was experiencing the adult onset of a particular type of muscular dystrophy (fascioscapulohumeral dystrophy). Its onset had probably started between 3 to 5 years prior. This explained in part the problem I had experienced in the previous years with cramping and severe muscle spasm regardless of how well I trained, ate and utilized best practice recovery methods. The bike I rode that day is gone, replaced with another. The jersey and bike bib wore out and are gone. The shoes are gone. My Deuter Air Race Lite remains. It hangs just inside my closet. It's older, it's beat up, but it is a reminder, a touch point every time I see it and wear it that committing to a journey does not guarantee the outcome one may have envisioned. Life can deal you challenges you never anticipated when planning for the journey. I look back now and can embrace that I did not cross the finish line. It's a tough race and there are so many stories (you can experience this amazing 2009 event here). 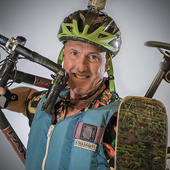 Since my experience at the Leadville 100, I have embarked on a new career with an outdoor industry marketing company. I had the privilege to meet Bill Hartrampf, President of Deuter, U.S.A. and during our conversations, I was inspired to share my Deuter story. I may not have made the finish line as I had hoped and visualized, but I did finish an amazing journey to be out on the course giving it my best. Armed with a great support group, an amazing son and the right equipment, I was able to experience a great challenge and have the foundation on which to compete in it. For that opportunity I will always be grateful. Your customers have busy lives. They experience differing levels of anxiety throughout their day. Given this reality, outdoor brands should strive to give their customers the feeling that they know and care about them. Although I have a new Deuter hydration system to use today, I still take my original Deuter Air Race Lite out for rides.